G & K Services - BrainstormOverload - Small design studio. Big ideas. 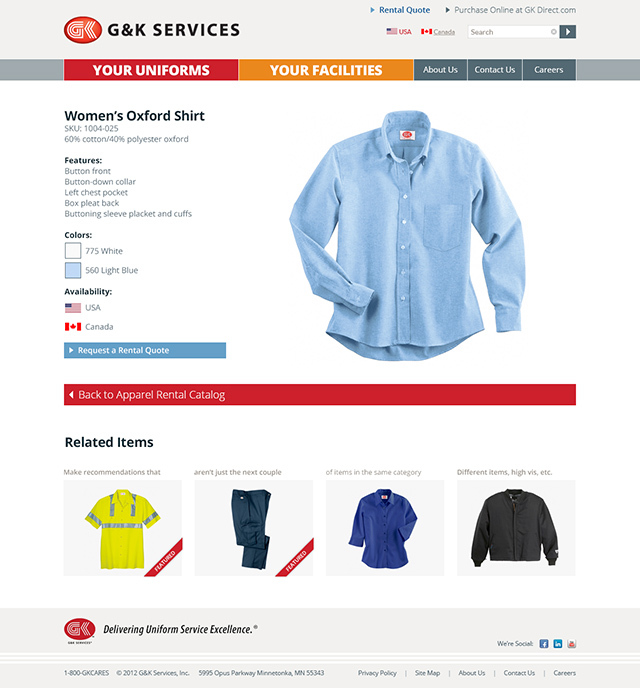 Working with Creed Interactive we redesigned gkservices.com for uniform and business services company G&K Services. It was great to reunite with Greg Beaupre for copywriting and content strategy. 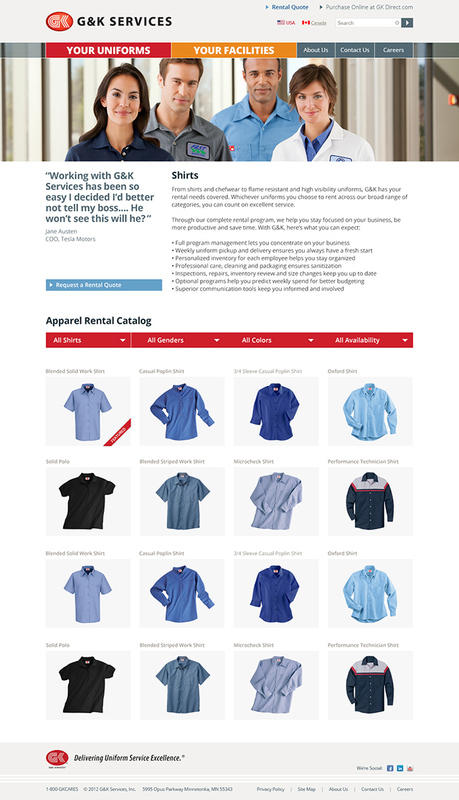 We devised a fully filterable product catalog that factored in availability and sku’s that differ between the U.S. and Canada. 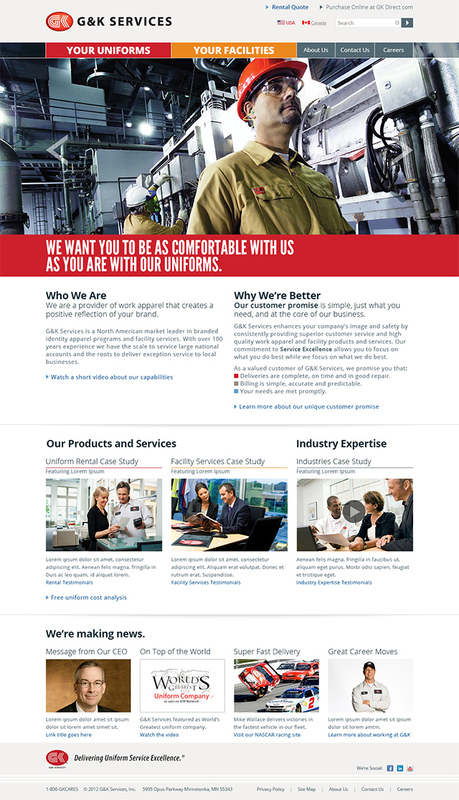 A strong grid, clean layout and ample clear space make it easy to quickly browse the product line and allows the uniforms to play the role of hero.